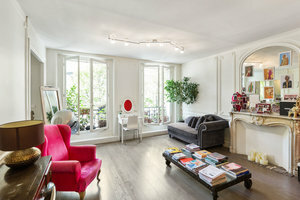 This artistic showroom is situated close to Rue de Turenne in stylish Le Marais. This bright space is perfect for a Showroom, Photoshoots or Press Events. This space boasts a colorful frontage and with a modern window display giving a bright atmosphere. The refined interiors of wooden floors and spotlights make this space tasteful. 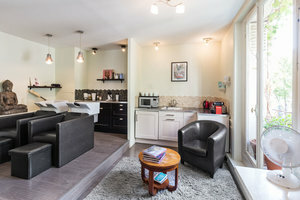 This showroom is a blank canvas ideal for fashion brands and artists to align with trendy brands in a creative setting. 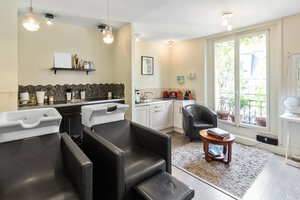 Situated close to Rue de Turenne and Avenue de La République and surrounded by trendy shops and popular art galleries, this space is well-located for events and private functions.